The Lenten season is upon us once more, and like many Christians, in an attempt to honor God’s faithfulness to his Church and in the hopes of deepening my own faith I have decided to engage in a fast of sorts. Inspired by a good friend of mine, I will for the duration of Lent refrain from using any form of social media. For my friend, this means saying goodbye to Twitter. For me, it’s all about Facebook. It’s been a little more than a week since I posted my last status update, informing the world (or at least my little corner of it) that I’d be absent from our virtual community for the next 40 days. In the past week, I can’t begin to number how many times my computer mouse has absentmindedly gravitated towards the Facebook marker on my internet toolbar. So far, my resolve has held, and with the extra time I’ve gained by not trolling my news feed I’ve had a bit of time to reflect on how radically social media has transformed everyday life. For better or worse, platforms like Twitter and Facebook have come to play a huge part in the social lives of many people. Society today, for all our global connectedness, is actually much less social than our predecessors, at least in the traditional sense of the word. As hard as it may be for some of us to believe, there was a time not so long ago when accomplishing the tasks of daily life required extensive interaction with other people in the community. There was no Amazon.com, no Super Wal-Mart, and personal transportation didn’t provide the same level of autonomous, anonymous efficiency that it does today. Many people walked where they needed to go, and knew their grocer and butcher and baker; neighbors actually knew each other’s names and possibly even went to the same church. Regular attendance at community events and town meetings was viewed as both a social responsibility and an opportunity for fellowship. In other words, people were rooted to their communities, and this rootedness carried with it a ready-made social network. 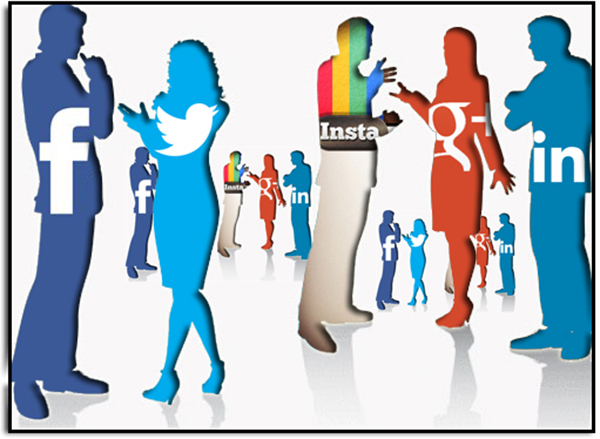 As technology developed and society evolved, however, the social picture changed drastically. Few people today grow up with a deep connectedness to their community. Most people don’t end up staying in their hometown for life, but rather go away for college and never come back. Most people don’t even end up living in the same town where they work, hence the advent of the term “bedroom community.” The opportunity to cultivate authentic friendships is scarce. A person may make great friends in college, but when graduation day arrives, everyone goes their separate ways. People who were an everyday part of life for four years might end up halfway across the country, or even halfway around the world. This same dynamic affects families. For a long time, Sunday dinner was a weekly ritual that brought the extended family together. Now many families are lucky if they can get everyone together once or twice a year. This is not to say that people don’t socialize in conventional ways anymore. It is possible, and it does happen. It’s just a lot harder than it used to be; it takes real effort to “plug in,” particularly when you aren’t a native local but a transplant to the community, as so many are today. There are still farmers’ markets and supper clubs, church fellowship groups and civic organizations, but for so many of us these are optional lifestyle amenities, not centrally important necessities as they once were. But man, as Aristotle so famously observed, is a political animal. We are social creatures. To fully thrive as human beings, we need daily interaction with other people. This is where social media has become so critical. It fills the void left by the dissolution of traditional social outlets. My own life offers an ideal example of how Facebook can be used to maintain relationships with friends and family that would otherwise suffer due to the constraints of time and distance. My parents divorced when I was about two years old. After earning her accounting degree, my mom got a job with the federal government. Every two to four years, we moved. Friends were made, and goodbyes were said. Connections were lost. I began my college career in Washington, D.C. but transferred to the University of Oklahoma, then Illinois. This was followed by a brief stint in the U.S. Army before I finally settled at Patrick Henry College in Purcellville, VA. I have three half siblings from my father’s remarriage, one in IL, one in TX, and one in England. My in-laws are in TX, CA, and NH. I have aunts and uncles in Arizona, IL, and New York. Because I attended DoD schools for the majority of my life, all my closest friends were also military “brats” and are scattered throughout the globe. My husband and I reside in Leesburg, VA, but most of the dear friends we made at Patrick Henry College live 50 miles away, in Washington, D.C. The rest have relocated to other parts of the country. In light of all this, I cannot imagine how isolated and disconnected I would feel without Facebook. It enables me to connect daily with my friends and loved ones. I’ve reestablished contact with people I haven’t seen or spoken to since 5th grade! I’m able to see pictures of my young nieces as they grow, even though they are an ocean away. If I read an article I know my college friends would enjoy, I can share it with them in a moment, and we can all read and “discuss” it together. I can share special moments and pictures of my 20 month-old son with everyone who loves him, from his grandparents in TX to his family in IL to his aunts in AZ and CA. People that I would never have been able to track down before are now part of my social network, and all I had to do with enter their name into Facebook’s search engine. I know that Facebook is, in the grand scheme, a poor substitute for the authentic kind of friendship that Aristotle describes in his Nichomachean Ethics, friendship characterized by close physical proximity, a shared moral vision, and a concern for the virtue and well-being of the other. There is an unavoidable kind of superficiality about many of the relationships made or sustained by virtual media. For all its inadequacies however (and there are many), the undeniable reality is that it also serves a critical function in our contemporary social milieu. In an ideal world, people would choose to stay rooted, and the lion’s share of their relationships would be concrete and not virtual. For so many people, however, this is simply not possible. 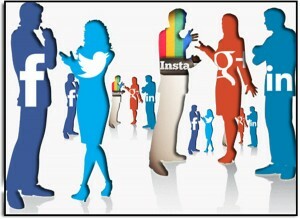 It seems that, as with many other modern conveniences, social media is a double-edged sword. When used properly, it can greatly enhance the personal well-being and social-connectedness of people. When misused, it can cause great damage – people can come to neglect the real world in favor of an artificially constructed virtual reality. One thing’s for sure, social media is here to stay. I am glad that I made the decision to set Facebook aside for a season in order to focus on my relationship with Jesus, but I will also be very happy to reconnect with the friends and family that contribute so much joy to my daily life. While there is much to lament about modern man’s isolation and disconnectedness from each other, we should not be too quick to dismiss the good that can come from our new virtual shared spaces. In fact, the virtual social network may be the only bulwark against man falling into a state of complete isolation in which his only constant relationship is with the modern bureaucratic state. Many conservative thinkers have warned against this eventuality, and we would do well to heed their concerns and do all we can to cultivate and maintain authentic relationships using any and all tools at our disposal, including social media.